If your Forster Dental Centre dentist recommends you need a tooth filling, you may wonder how long you can go without treatment— particularly if the cavity isn’t bothering you or causing pain. The fact is that while some cavities are painless, small, and can take a while to develop, many can quickly get worse if treatment is put off. Tooth decay can’t repair itself, and what begins as a minor problem can quickly become dangerous, dramatically changing your treatment options. This is why you should always get tooth decay treated as soon as possible. Let’s answer two common questions about tooth decay and treatment, and then talk a little bit about what Forster Dental Centre can do to help you if you suffer from tooth decay. The answer is “A”. While sugar is terrible for your teeth, that is because sugars contain carbohydrates. As to cavities, they are the result of tooth decay. Tooth decay grows when foods containing carbohydrates are left in the mouth. Mouth bacteria digest carbohydrates, turning them into acids. The food debris, bacteria, acid, and saliva combine into plaque. Plaque clings to teeth, while the acids in plaque erode the enamel surface of the teeth. The result is cavities. 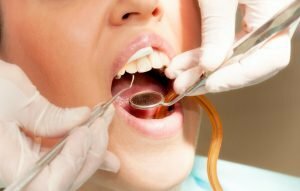 What happens if I don’t get a cavity treated quickly? Significant negative consequences can occur if a cavity is not treated when first noticed. Untreated cavities can lead to severe pain and the need for more invasive dental treatments as the cavity grows and spreads. Ignoring a cavity can result in the complete loss of the tooth, and a cavity in one tooth can affect its neighbours. But it can get worse. Decay spreads rapidly through the interior of the tooth because it is softer than enamel. Decay in the root also spreads quickly, since the covering of the root is softer and thinner than enamel. As decay continues, pain may increase. If the cavity is not treated, things can get worse if decay and bacteria reach the tooth-pulp, containing the nerves and blood vessels. This can lead to an abscess, causing facial swelling, fever, and a bad taste in your mouth. This can be serious if the infection enters the jawbone or spreads to the body, in some cases even leading to systemic infections and death. Do you see a pattern? The longer you ignore tooth decay, the more expensive, involved, and life-threatening your condition becomes — and the more pain you are likely to endure. So visit Forster Dental Centre at the first sign of trouble and get treatment if you have any level of decay. Brush your teeth with fluoride toothpaste at least twice daily, and floss once daily. Rinse your mouth with fluoride mouthwash. Rinse your mouth with water if you don’t have a toothbrush handy. Consider dental sealants. If you have deep grooves in your teeth, that make you susceptible to tooth decay, dental sealants can help ward off future decay. Visit Forster Dental Centre for regular teeth cleanings and exams. If we detect a small area of erosion on your enamel before it reaches the dentin, we may recommend an approach to help repair the spot. This might include mouth rinses, toothpaste or filling materials that contain fluoride, phosphates, and calcium. If you wait to see us, this option goes away. Once decay reaches dentin, there is no avoiding treatment. Small cavities can be repaired with an amalgam filling or tooth-coloured resin. If the tooth has lost too much structure, you may need a crown or root canal. The longer you wait for treatment, the more tooth structure is lost. The abscessed tooth is the worst-case scenario, and treatment options are narrowed: You can opt for a root canal treatment or an extraction. 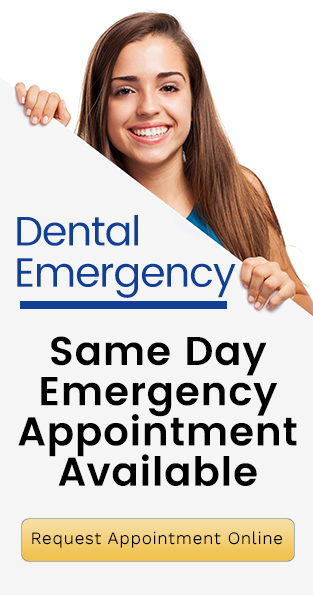 At Forster Dental Centre we usually only do extractions when there is no other way to save the tooth. If you think you have a cavity, don’t wait! Call us today!